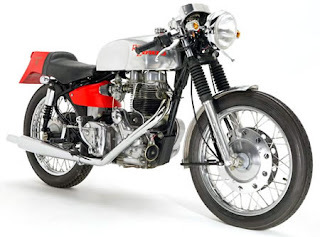 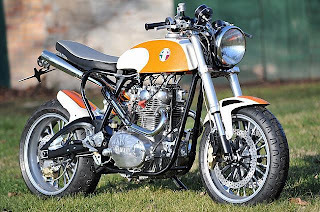 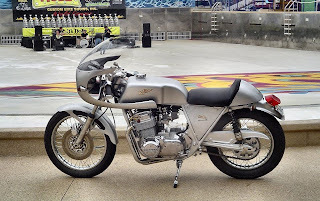 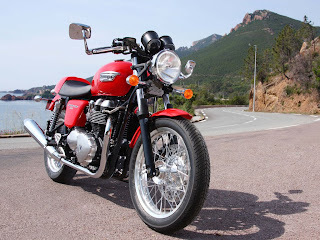 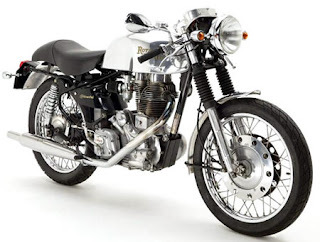 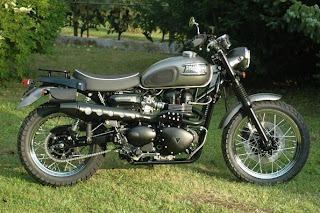 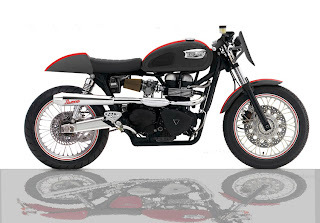 This is obviously based on the Thruxton racing bikes of the 60’s that lead to the huge Cafe Racer Revolution. 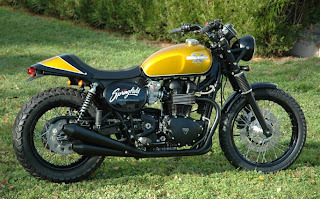 They have done a great job keeping close to the original. 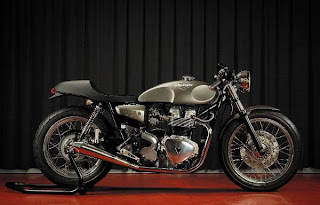 Even hiding the fuel injection system in a pair of carburetors so it retains Thruxton’s legendary racing look. 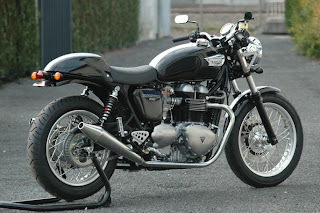 I have read lots of great reviews of this bike and if i had a bit more cash I would definitely make some room in the garage for it. 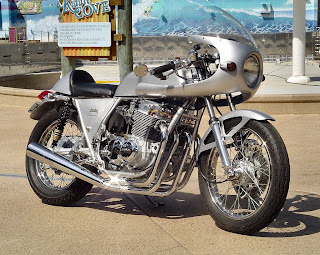 I love finding new custom shops especially from Japan (for my japan tour). 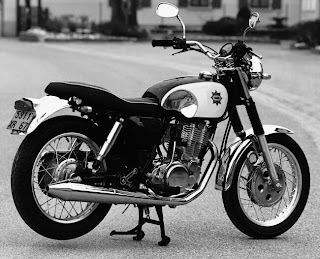 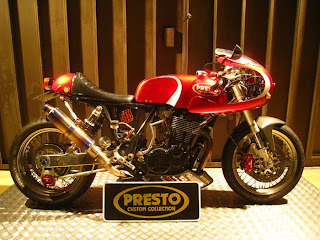 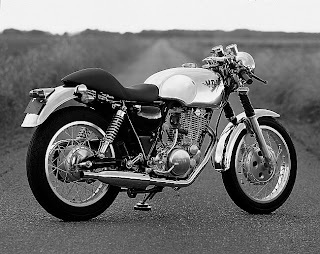 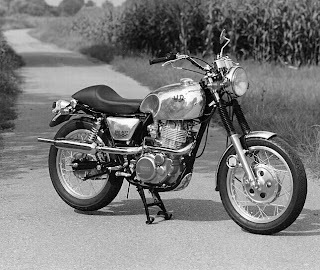 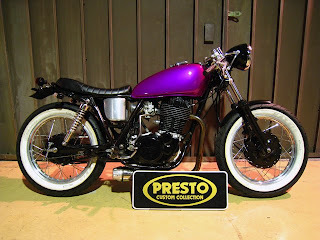 They are called Presto Customs and their bikes are right up my alley because they specialize in yamaha sr400’s and 500’s. 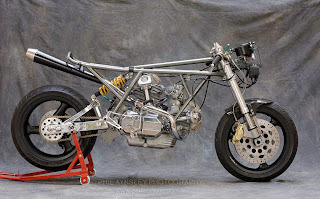 Heres some awesome pics of their work…. 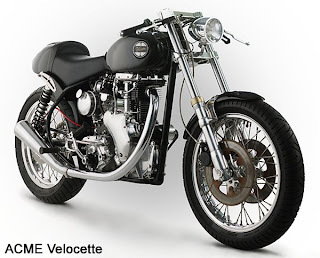 This is one beautiful 1955 Velocette Venom 500 Cafe Racer. 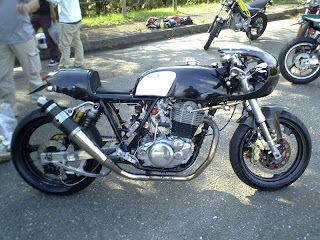 When i found this pic I had to find out more about it. 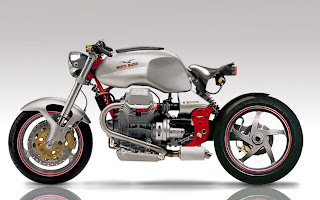 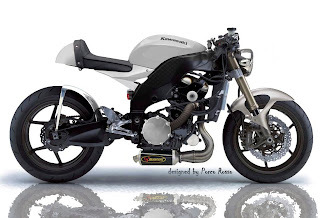 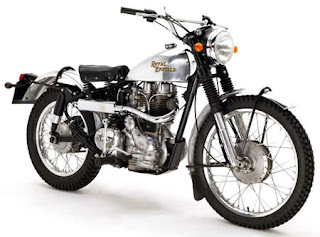 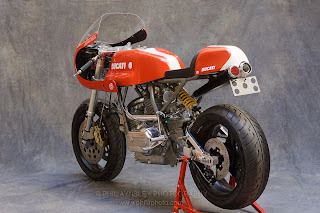 It’s by a californian company called Steffano Motorbikes. 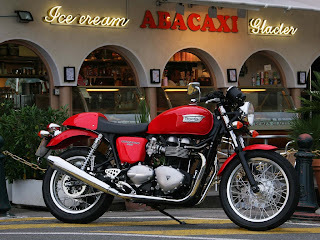 They do a lot modern Cafe racers and other one off customs. 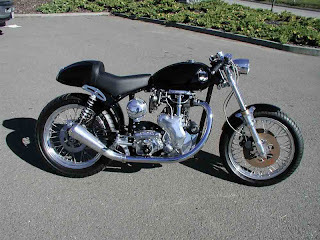 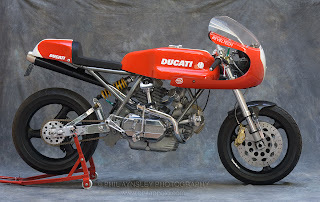 They have some more pics of their bikes here.